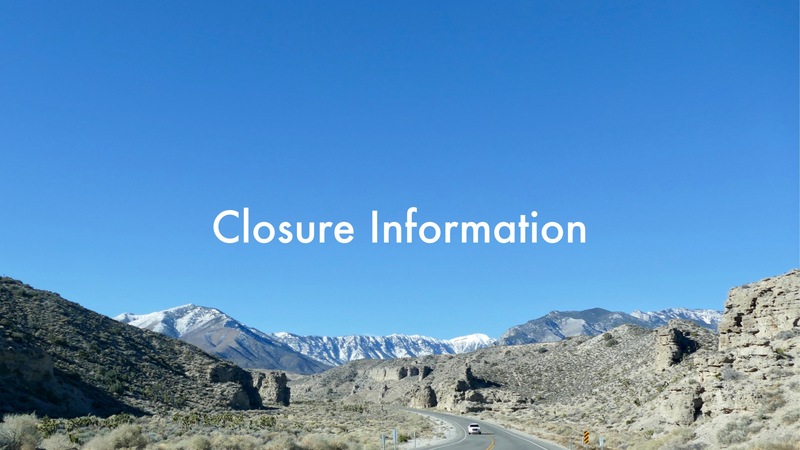 Status of closures in the Spring Mountains during the 2018 Federal Government Shutdown. Information will be added as it is received, and mirrored on our Facebook and Twitter accounts as well. Any media inquiries are directed to contact the Humboldt-Toiyabe National Forest main offices. The Spring Mountains Visitor Gateway, fee areas, and restrooms are currently closed, due to the lapse in federal government funding. The facilities will reopen once Congress restores funding. 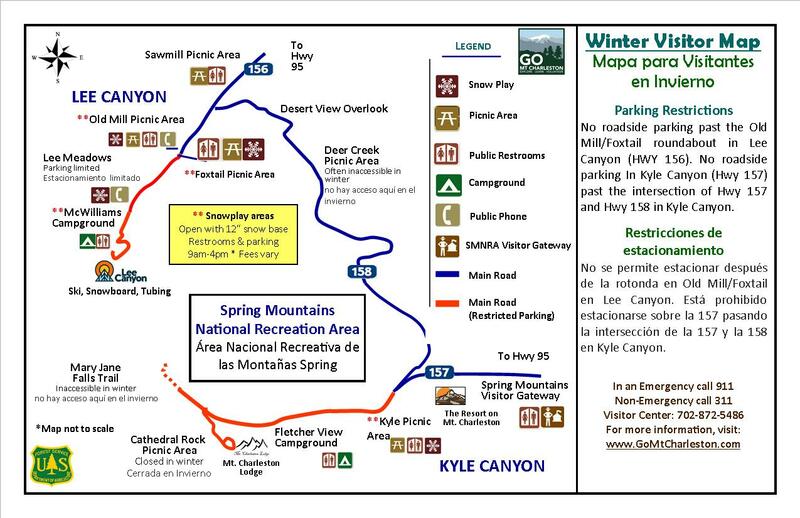 SMNRA will continue to operate the Spring Mountains Visitor Gateway, fee areas, and restrooms as normal on Saturday 1/20/18 and Sunday 1/21/18. These areas will be closed beginning on Monday 1/22/18 if the federal shutdown continues. Spring Mountains National Recreation Area (SMNRA) plans to run "business as usual, with plans to have an "orderly shutdown" beginning on Monday morning of 1/22/18, if a federal shutdown occurs.